This was an extremely helpful and informative workshop!! I learned so much. — Sarah L.
Improve your songwriting and ability to communicate with other musicians. New and useful skills every step of the way. Music Basics One: Start from scratch. 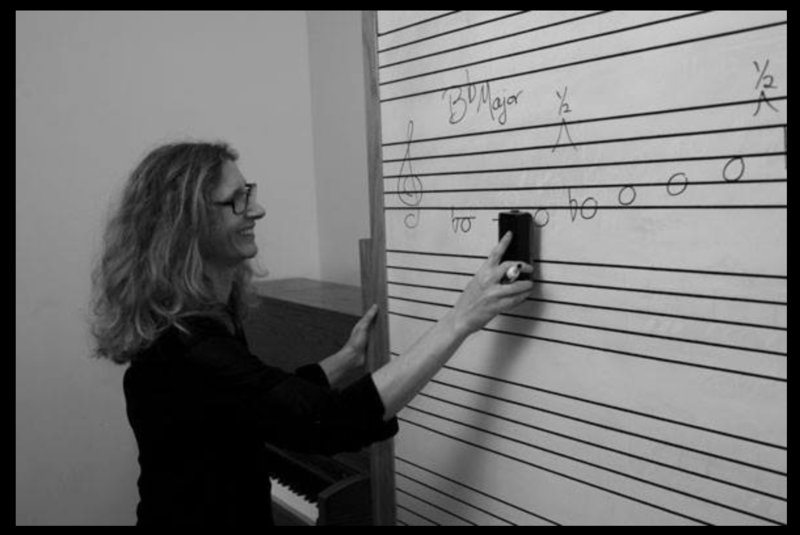 Learn to read and write music notation, understand keys, create basic chords, find the I IV and V chord in any key! Very short creative assignments. Music Basics Two: Learn more about chords in a key. Add to your knowledge of rhythm and song form. Short, creative assignments and more practice putting your music into chart form for other musicians to read. ONE-DAY INTENSIVE WORKSHOPS: cover most of the material from Music Basics One. These typically take place on Saturday or Sunday. $150 for the day and all materials. Work on your current goals as a songwriter/musician. Get feedback from your classmates and assignments (if needed) that help you work on your craft. Some prior understanding of basic music theory is helpful for this class.